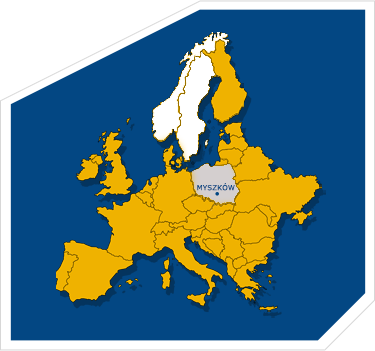 We are a transport company with the headquarters in Myszków, the Province of Silesia, which has been active on the market since 1999. We rend services in international transport. 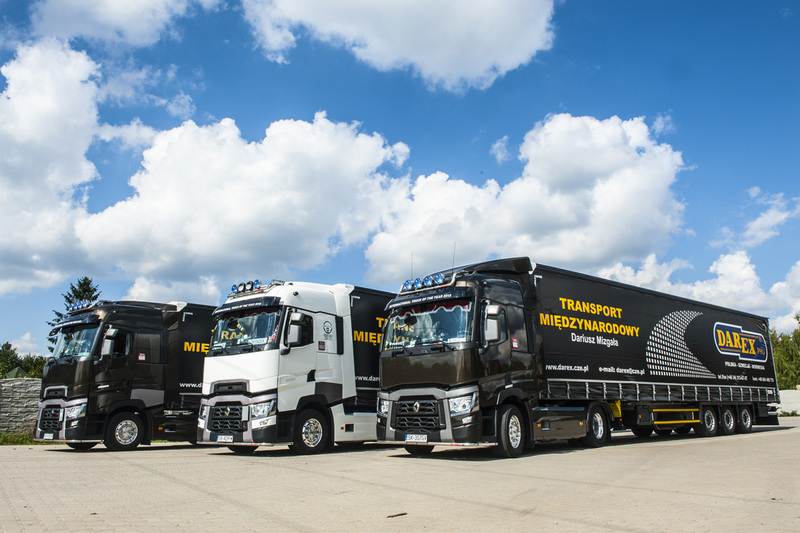 We transport goods with the help of a modern fleet of vehicles. Our preferable directions are Sweden and Norway. We care about the quality of our service by constant investment into our personnel’s qualifications. We enjoy dynamic development accompanied with investment into new vehicles. Our aim is comprehensiveness of service, reliability and safety. We specialise in Less Than Truck Load transport (LTL) and Full Truck Load transport (FTL), ensuring quick delivery of transported goods. 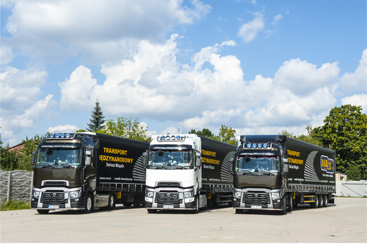 We possess 17 RENAULT road tractors with semi-trailers, complying with EURO 5 and EURO 6 norms, and SCHMITZ semi-trailers, MEGA type with the capacity of 24 tons. Our drivers long professional experience and strictly obeyed work-time rules ensure high quality of our service. 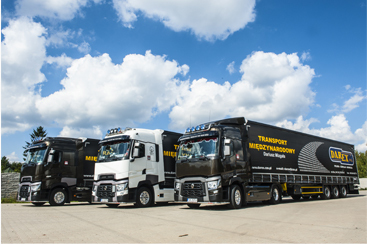 GSM communication and vehicle monitoring ensure continuous contact with the drivers, which makes it possible to continuously supervise the realization of entrusted transport tasks. Highly qualified staff and high service quality has resulted in our customers’ trust and cooperation with many renowned companies present on the market. We guarantee timeliness, price competitiveness, honesty and professional service to our contractors.